Two methods have been applied. One uses flanges that are added to the piece of process equipment by the original equipment manufacturer (OEM). The second is to totally encapsulate the coater with a pan mounted flexible enclosure. 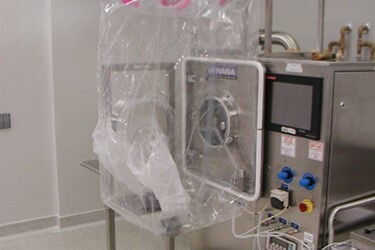 The use of flexible containment allows the end user to process under containment when needed and to use existing, open processing procedures when containment is not required.